CarGurus has 40,553 nationwide Sonata listings starting at $1,359. The critically acclaimed Hyundai Sonata midsize sedan continues to deliver excellent value for 2012, as well as a winning combination of sporty exterior styling, a roomy interior, good fuel economy and a wide range of standard features that make it the car to beat in its class. Some reviewers are unimpressed with the quality of the Sonata's interior cloth seats, and a number of owners point out that their Sonatas aren't as fuel efficient as the numbers claim, delivering lower fuel economy than promised. Hyundai's 2013 Sonata leads a new class of midsize sedans that give prospective buyers everything they ask for, and then some. Despite fierce competition in the midsize class, the Sonata has muscled its way to the top of the heap, thanks to its eye-catching exterior design, spacious interior and extensive list of standard and available features. Add in decent fuel economy numbers and a turbocharged 4-cylinder powerplant that behaves like a V6, as well as affordable pricing, and it's easy to see why the Sonata runs near the front of the pack. Following a full redesign in 2011, the Hyundai Sonata rolls into 2012 with only a few minor updates, including the addition of a new Blue Link safety, service and infotainment system, now standard for all Sonata trims. The Blue Link system, which incorporates elements of GM's OnStar, Ford's SYNC and Toyota's new Entune systems, integrates with a smartphone to give drivers access to traffic and weather information, emergency services and roadside assistant. It also enables owners to run vehicle diagnostics, check fuel efficiency, find their car in a crowded parking lot and monitor the car's systems when younger drivers are operating the vehicle. Other new standard and available features for 2012 include a three-piece panoramic sunroof, now standard on the Sonata Limited trim, and a new optional 7-inch touchscreen navigation system with HD radio, as well as a rear backup camera, available on the Sonata SE trim with the Sunroof and Navigation Package. The front-wheel-drive, 4-dour Hyundai Sonata comes in entry-level GLS, mid-level SE and top-of-the-line Limited trims for 2012. All Sonatas display the "Fluidic Sculpture" exterior design that has helped Hyundai's vehicles stand out in a crowd and helped the automaker gain increased market share at the expense of some of its competitors. Buyers can opt for one of two available 4-cylinder engines, including a turbocharged four that Hyundai says performs like a V6. But again for 2012, the automaker doesn't offer the Sonata with an actual V6. For most reviewers and owners that's not a problem, however, since testers say the Sonata performs well with the fours, which deliver fuel economy numbers of up to 35 mpg. In addition, Hyundai continues to offer the Sonata with a strong standard feature package, including such niceties as heated power side mirrors, remote keyless entry, Bluetooth, and an audio input jack, all standard for all trims. Overall, the 2012 Hyundai Sonata continues to deliver a winning blend of standard and available features, combined with a comfortable ride, a spacious interior, top-rated safety features and good fuel economy, all at a reasonable price. A 2.4-liter 4-cylinder powerplant, which was updated in 2011, continues to provide base power for the Sonata. The engine produces 198 hp and 184 lb-ft of torque in the GLS and Limited trims, and a slightly higher 200 hp and 186 lb-ft of torque in the sporty SE trim. The engine links to either a 6-speed manual transmission, which comes standard in the GLS, or a 6-speed automatic transmission with ShiftTronic, which enables manual shifting by tapping the shift knob when it's positioned in the manual-shift gate. It's standard on the SE and Limited trims and optional on the GLS. The EPA estimates fuel economy numbers of 24/35 mpg with either the automatic or manual transmission. Hyundai also offers an optional 2.0-liter turbocharged 4-cylinder for the SE and Limited trims. The turbocharged four pumps out a robust 274 hp and 269 lb-ft of torque for a peppier ride. When equipped with the turbocharged powerplant, the Sonata accelerates from 0 to 60 in about 7 seconds, or about a second faster than with the base powerplant. Peak torque arrives fairly early in the cycle, at 1,800 rpm, which helps reduce turbo lag. Hyundai equips the SE trim with paddle shifters, which also come standard on the Limited trim when powered by the turbocharged engine. Fuel economy numbers edge down slightly for the turbocharged powerplant, to 22/34 mpg. While most testers agree that the Sonata won't break any land speed records, they also note that both powerplants provide good performance for most driving situations, and that only when passing or aggressively accelerating does the Sonata feel underpowered. Light on its feet and agile in the corners, the Sonata strikes a good balance between ride and comfort. For the most part it reacts well when pushed, though some testers noticed excessive body motion over rough patches of road at higher speeds. The Sonata's 4-wheel disc brakes are especially singled out by some testers for their responsiveness and good feel. The Sonata features unibody construction, with MacPherson struts in the front and a multilink rear suspension with a stabilizer bar. Power rack-and-pinion steering comes standard on all trims, and like the brakes, exhibits good balance and feedback. Owners seeking a sportier ride should opt for the SE trim, which receives a sport-tuned suspension, a slightly larger rear stabilizer bar (17mm vs. 15mm) and sport-tuned steering. The SE also comes standard with 18-inch wheels with performance tires, while the Limited rides on 17-inch wheels and the entry-level GLS receives 16-inch wheels. Some testers note the Sonata's engine can sometimes get noisy under heavy acceleration, which usually resolves itself once the transmission upshifts. For longer rides, the Sonata offers plenty of headroom and legroom, especially in the rear seats. However, some reviewers aren't impressed with the quality of the material on the cloth seats in the GLS and recommend opting for the Limited's leather seats. Since its redesign in 2011, when Hyundai stretched the sedan's wheelbase by 3 inches, the Sonata has garnered good reviews for its roomy, well-equipped cabin. Though some critics note that the quality of the Sonata's interior materials and textured surfaces doesn't quite match those of a luxury car, they're more than adequate for the class, providing a soft feel and a fluid appearance. 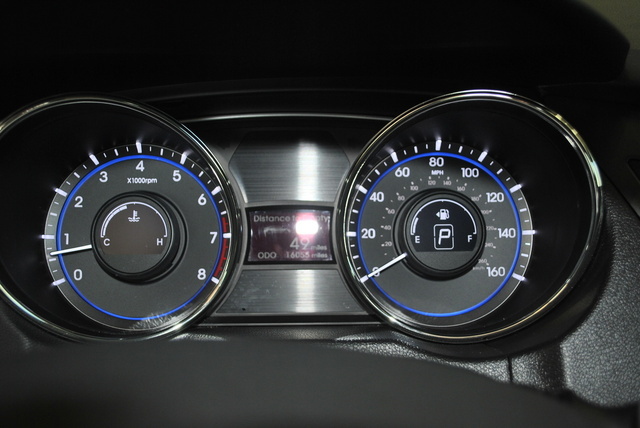 Controls are well-placed and intuitive, and gauges are easy to read. Overall, the cabin exhibits good fit and finish. Hyundai's Blue Link telematics system joins the Sonata's standard features list for 2012. The system, which integrates with a smartphone via an app, gives drivers remote access to the vehicle to unlock the doors, start the engine, turn on the lights or sound the horn. Drivers can also use the system while under way to search for specific destinations and receive turn-by-turn navigation directions, even if the vehicle is not equipped with a navigation system. In addition, the system enables drivers to contact roadside assistance, conduct vehicle diagnostics and view a monthly vehicle report. The system requires owners to sign up for one of three service packages, including the Assurance Package (complimentary for 6 months), which provides basic safety and emergency services; the Essentials Package (free for 3 months), which includes diagnostics and remote activation of the car's systems; and the Guidance Package (also free for 3 months), which provides navigation and location assistance as well as weather and traffic information. Other basic interior features found in all Sonatas include air conditioning, remote keyless entry, power windows and door locks, a tilt/telescopic steering wheel with audio and cruise controls, and a 60/40-split fold-down rear seat. In addition, Hyundai includes Bluetooth, SiriusXM satellite radio and an audio input jack with all Sonata audio systems, including the 6-speaker, 104-watt AM/FM/CD system installed in both the GLS and SE trims. As the mid-level Sonata trim, the SE also gets upgraded sport seats with leather bolsters and cloth inserts, as well as an 8-way power-adjustable driver's seat with power lumbar support, a proximity entry key with push-button start and a leather-wrapped steering wheel and shift knob. For the top-of-the-line Limited, leather upholstery, heated front seats, dual-zone automatic climate control and a premium 360-watt Dimension audio system with a subwoofer and HD radio come standard. In addition, Hyundai adds a three-piece panoramic tilt/slide sunroof as standard equipment for the Limited trim for 2012. Options include a 400-watt Infinity audio system, available on the Limited, and a new navigation system with a 7-inch screen and rear-view camera, available on the SE and Limited. In addition to its roomy cabin, the Sonata offers plenty of cargo space in the trunk, despite the sloping roofline. The Sonata's 16.4 cubic feet of cargo space compares favorably with such competitive vehicles as the Toyota Camry, which offers 15.4 cubic feet, and the Honda Accord, with 14.7 cubic feet. The 2012 Sonata was named a Top Safety Pick by the IIHS, due to its top ratings of Good for front and side impact crash tests, as well as for roof strength during a rollover. 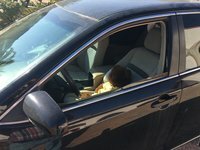 The NHTSA awarded the Sonata 5 out of 5 stars overall for safety during crashes, which breaks down to 5 stars for side and rollover crashes, and 4 stars for frontal crashes. Six airbags, including dual front, seat-mounted front side and side-curtain airbags, are standard on all Sonatas. Other standard safety features include electronic stability control, traction control, electronic brakeforce distribution and brake assist. A trunk anti-trap device, childproof rear door locks, a tire pressure monitoring system and an antitheft system are among the other safety features. In addition, all Sonata trims except the GLS include an engine immobilizer feature, which prevents the engine from starting when an improper key is used. Since its redesign in 2011, the Hyundai Sonata has been building a lot of buzz with reviewers and owners alike. Owners especially find a lot to like about the Sonata, starting with its affordable price and good value. In addition, they like the Sonata's overall balance between price and features, comfort and sportiness, fuel economy and performance. In all those measures and more, the Sonata finds the right spot for owners. Need a good commuter vehicle that gets good gas mileage? Check. Want a well-equipped, budget-minded vehicle that doesn't skimp on standard features? Check. Looking for a sporty vehicle that competes with more expensive models? Check. Whatever the buying requirements a prospective owner might have, the Sonata seems to fit those needs in one way or another. 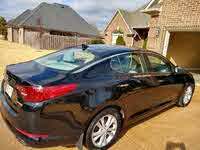 For example, some like the Sonata's smooth acceleration and good performance. Others like its contemporary cabin, or good fuel economy, or precise handling. The Sonata delivers in all categories. However, the car isn't perfect, and a number of owners point out the car's imperfections. According to some, the Sonata doesn't live up to its fuel economy numbers, delivering lower numbers than promised. Other owners have problems with the Sonata's steering, and some find the seats too firm. A number of owners point out that their Sonatas are not as adept as they'd like in handing road bumps and imperfections. But overall, positive comments greatly outweigh negative ones, and the Sonata remains a hit, especially with owners who made the switch from SUVs or even some competitive sedans. What's your take on the 2012 Hyundai Sonata? 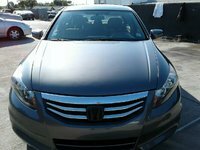 loglesby I had the 2012 2.0T Limited and had nothing but problems with it since day one. I was the original owner and maintained the car per specs. When a car has 30k miles on it and it starts having transmission issues, time to get rid of it. Issues with the turbo around 20k and took in 3x. I had it back at the dealership 18x for mechanical and electrical issues prior to having it bought back by Hyundai. I loved the look of the car and the comfort of the car but it was very unreliable. I have 3 co workers who have many issues with their Hyundai also so I dont know how this car gets such high reviews unless the Hyundai employees are doing them. 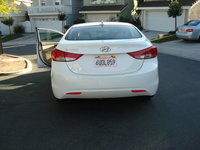 Users ranked 2012 Hyundai Sonata against other cars which they drove/owned. Each ranking was based on 9 categories. Here is the summary of top rankings. 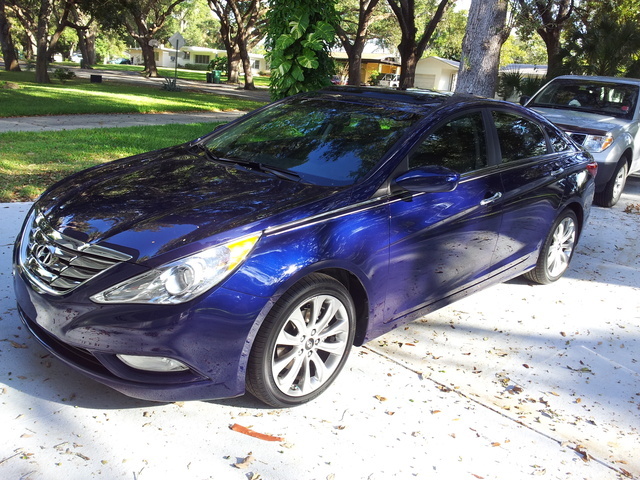 Have you driven a 2012 Hyundai Sonata? The remote won't unlock the doors and the pullout key won't go in all the way to manually unlock the door.